The automaker claims its upcoming E-tron electric utility vehicle will deliver “enormous” power and high efficiency. It will also offer zero-to-60-mph sprint times in less than six seconds and a 250-mile range per charge, though not likely both at once. 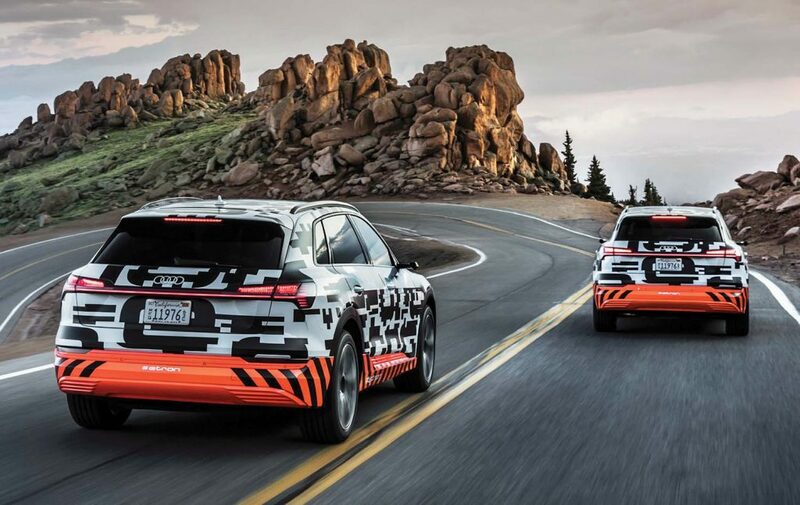 Along with the E-tron, Audi will introduce its most efficient kinetic energy-capture system yet, able to return to the batteries equivalent energy to drive almost the same distance it’s driven downhill. The automaker demonstrated its claim on a continuous 19-mile drive down Pikes Peak in Colorado, where it recuperated “more than 70 percent” of its operating energy input needs, and fed “so much energy back to the battery” that each mile downhill brought around an additional mile in range.